Search for members by name or email address. 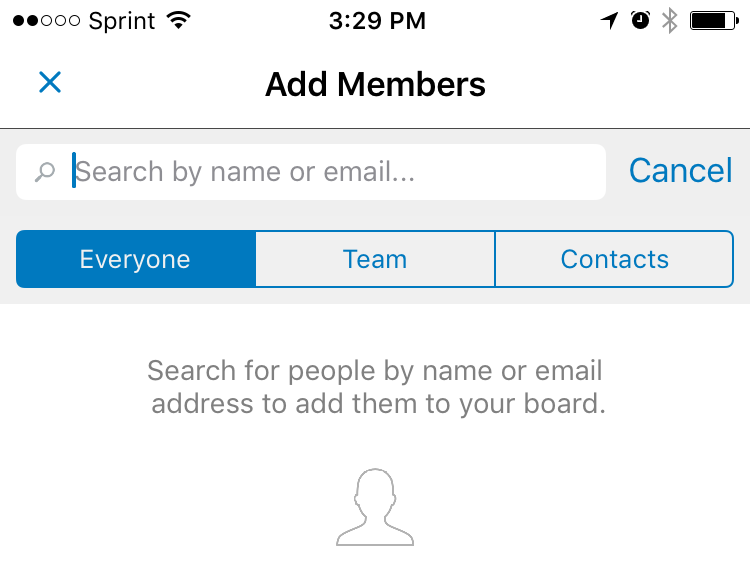 If your board is part of a team, you can select "Team" from under the search field to filter your search by members of that team only. 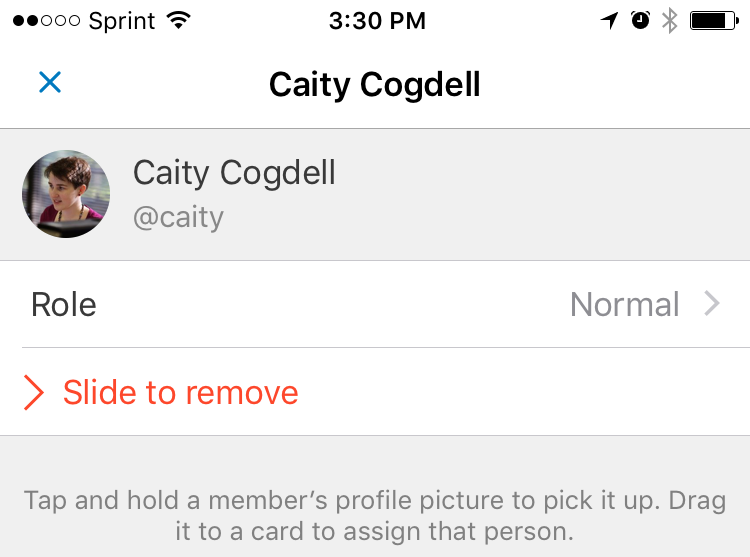 You can also add members from your device's contacts by selecting "Contacts" from under the search field. Admins can remove all members from the board. Normal members can only remove other normal members (not admins) from the board.